Computing is filled with bothersome chores that take away from all the things we’d really like to be doing on our personal rigs—like: gaming, benchmarking, overclocking, and web browsing. One of the most troublesome tasks is maintaining backups of all your important documents, media, and files. It’s something we all have to do, but none of us really enjoy doing. Backing up files and folders can take hours with the less-than-stellar upload speeds provided by local ISPs. In an effort to make regular backups less of a chore, we’ve decided to sort through the massive assortment of backup software to find the ultimate solution. We’re looking for something that’s easy to use, reasonably priced, and works quietly in the background. Fortunately, with all the competition out there, most of the applications on our list have achieved a sort of basic competency that makes them all viable options. We’ve also included dedicated backup software to address the need to back up partitions on hard drives and to do things like cloning Windows installs. Most users don’t need these advanced features, but they’re super helpful when a crucial system encounters a fatal error or something like a driver install goes wrong. There’s no way we can talk about backing up files without mentioning the elephant in the room: Dropbox. It’s the first big hit we can remember and it’s established itself as a juggernaut in the world of cloud-based backup solutions. Unfortunately, its free plan offers just 2GB of storage. That’s a meager amount in the context of the ever-expanding file sizes of even mobile photos. While 2GB should be fine for most document backups, if you expect to store any amount of music, video, or photos, you’ll need to step up to a paid plan—or a competing product. DropBox offers a 1TB plan for $9.99 a month or $99.99 a year. The great thing about Dropbox is that it’s just about the most feature-packed online software on our list. It supports nearly every modern device—iOS, Android, OS X, and Windows, just to name a few—and has a usable web interface for impromptu access. Even more than that, it supports files of all types and lives inside of a single folder on your computer. Right-click files to get shareable Dropbox links and even control which files and folders within the main folder are synced with other devices and online. What’s particularly useful about Dropbox and the other cloud-based solutions on our list is that you don’t need separate external backups. Because Dropbox syncs across multiple devices and the main Dropbox server, you already have redundancy and don’t need to manually backup files. 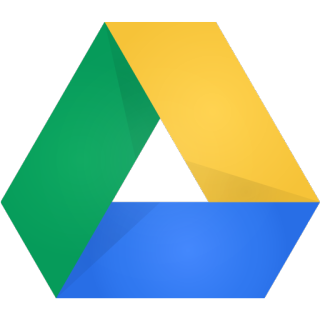 As with Dropbox, Google Drive is cloud-based software with dedicated apps for most of the major operating systems. It also has a full-featured website that’s existed in numerous iterations since its start as Google Docs. Where it begins to separate itself from Dropbox is the 15GB allotted to every single Google Drive. That’s over seven times the storage offered by the free Dropbox plan and that doesn’t even include the unlimited photo storage provided by Google through Google Photos. Drive offers quite a few paid storage plans that range from 100GB to 30TB. The former is $1.99 a month and the latter costs a whopping $299.99 a month. It’s great that Google allows you to tailor your monthly cost to your personal needs. Plus you still get the initial 15GB of free storage allotted to all accounts. As far as the feature set and interface are concerned, Dropbox and Drive are neck-and-neck. The tiebreaker is simply the dramatically larger free storage space granted to Drive users and the various tiers of paid storage. It’s hard to beat 15 gigs of document, music, and video storage as well as unlimited photo storage. Drive pulls out ahead if you’re a heavy user of Google Docs, Sheets, or Slides. The web interface has easy access to Google’s other online apps and Google Docs will be stored locally in the form of Google Document files. Install a Chrome Extension and you can get offline access to your documents, too. Just like Dropbox, right-click sharing is a cinch and the online portal also offers revision control. OneDrive is Microsoft’s offering, and it matches Google in providing 15GB for free users. Anything stored in the OneDrive folder syncs with Microsoft’s servers and OneDrive folders on all of your other devices. The biggest drawback to OneDrive is that it seems half-baked in comparison to the more polished offerings from Google and Dropbox. The online interface is a bit of a mess and the local feature set is pretty much zilch aside from the OneDrive-connected folder. There’s no revision control of files, and aside from some simple Skype chat integration, there’s not much here that isn’t already available on Drive and Dropbox in a more user-friendly package. The paid plans start at $1.99 a month for 100GB and goes up to $6.99 a month for 1TB with Office 365 bundled in. OneDrive’s ace-in-the-hole is its integration with Microsoft Office and Office 365. If you’re heavily embedded in the Microsoft ecosystem for things like email and document editing, it might be a good idea to use OneDrive as your go-to backup for documents. Microsoft’s first-party applications like Word will actively connect to the OneDrive server to fetch the latest documents and files instead of relying on potentially unsynced local folders. CrashPlan sits in a weird spot between web-based and local backup solutions. Install the application and you’ll get free backups of all of the files on your system to a local folder—e.g., an external hard drive—or another computer. Pay the $5.99 monthly cost or $59.99 for an entire year and you’ll get unlimited storage space for your backups on CrashPlan’s servers. Some users require complete backups of their entire PC and Acronis True Image 2015 promises just that. It’s regularly available for $49.99 and sports a fashionably modern interface that fits right in with Windows. Although the price tag doesn’t include a cloud storage subscription, True Image 2015 still offers a boatload of features that will appeal to power users looking for fine control over their backups. Pick the frequency of backups and schedule them down to the minute. True Image offers useful options like “Run the backup only when the computer is idle” and even offers email notifications about the backup process. Unlike web-based solutions, True Image allows users to back up their entire PC as well as individual disks, partitions, folders, and files. Spring for the $99.99-a-year Acronis True Image Unlimited and you’ll get the application along with unlimited cloud backup. At the same time, True Image also offers a folder-syncing option that mimics the synced-folder functionality of Drive, Dropbox, and OneDrive. Pick a folder on your system and you can sync it with the cloud and across supported devices. There’s also a Clone Disk utility, an option to create rescue media, and even an option to adapt system backups for restoration to computers with “dissimilar hardware.” The major downside of the local, software-based True Image is that there’s no easy access to backed up files online. You can look at synced folders with a mobile application, but you don’t have the near-instantaneous access afforded by the web clients of competing services like Drive and Dropbox. Get past EaseUS Todo Backup’s weird name and it’s competitive with Acronis True Image 2015. It has most of the features you’d expect from a backup software and is available for just $29.99. What’s even more surprising is that a free version is available with support for scheduled backups, disk and partition cloning, as well as the ability to create bootable media. The paid version adds extra features like technical support, email notifications, backup to FTP servers, and the ability to exclude files from your backups. Again, as with True Image 2015, the main draw of EaseUS Todo Backup is its ability to create images that can completely restore your PC. Instead of saving just your important files, Todo Backup will maintain all of your applications, files, and settings through a complete restore of your Windows installation. The main difference between this and True Image is a slightly cheaper cost that’s a result of a pared-down feature set. The biggest exclusion is the lack of a cloud-backup option and no parity in terms of syncing individual folders for easy, remote access. If Todo Backup can do everything you need, it’s a great way to augment the on-the-fly access and easy folder backups afforded by free, cloud-based systems. Use Drive or Dropbox in their free configurations alongside Todo Backup for the best of both worlds. It’s hard to pick just one winner because no one software is the best at everything. Truly effortless backup is best served by Google Drive, especially if you can pack everything into the free 15GB plan offered by Google. On the other hand, if you need to backup system drives or individual partitions, Drive isn’t enough. You’ll need something like Acronis True Image 2015 to clone drives and backup files locally. So we’ve decided to pick two winners; one web-based solution and one full-fledged application. Google Drive is our pick for anyone looking to back up and easily access individual files—if only because of its storage-size advantage and web interface. If you need anything more, Acronis True Image 2015 probably has what you’re looking for. That said, we’re big fans of augmenting Google Drive (and its 15GB free storage) with EaseUS Todo Backup Free—easily the best of both worlds for a total cost of $0.